Suspended over the water, in the gorgeous Veligandu lagoon, the Sunset Jacuzzi Water Villas are the best address for an island getaway. Enjoy the lavish comforts and privacy that come with these 86sqm rooms. The staircase into the ocean offers you unhindered access to our lagoon, where you can have a leisurely swim or go snorkelling. Camp out on your private deck with your loved one as you take in the glorious view of the sunset. After a beautiful day in paradise, settle into your private Jacuzzi for two under the glittering sky. One-time-only! 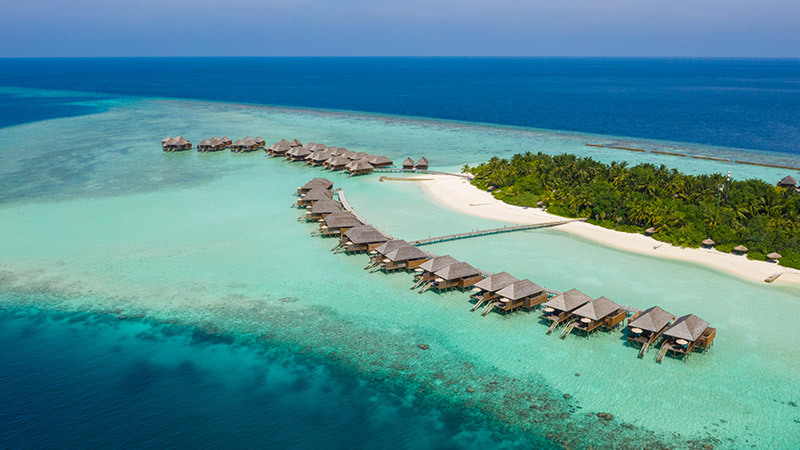 Book now and enjoy a 15% discount on your summer holiday at Veligandu, Maldives. Expires April 30, 2019. Discover your own secluded hideaway with a private Jacuzzi for two under the stars.